Does your child have an irrational fear of the dentist? If they do, they are certainly not alone! Unfortunately, it’s not just children who find themselves quaking in their boots at the thought of sitting in a dental chair; even some grownups haven’t outgrown this fear! To make sure that your children don’t fall into the trap of clinging onto their irrational fear their whole life, it’s vital to address it in the best way possible. So how can you help your children to at least tolerate visits to the dentist? It’s simple. Go to a clinic that specialises in child dentistry! We gladly participate in Medicare Child Dental Benefits Scheme (CDBS) offering bulk-billed services to children under this scheme. We are all about children enjoying a visit to our Dentist Chatswood. In fact, our aim is to make the whole visit a happy and stress-free experience. What can help you, as a parent, to work along with our vision? Here come a few tips! Once your child has started to get a few teeth through, it’s already time to introduce them to the dental chair. Remember, how you build things up before the visit will have a major impact on how your child feels when they come through the doors. Getting to be the centre of attention, sit in a big fancy chair and meet people who are all about making smiles, is a great build up for your child’s first visit to the clinic. It’s easy to think that the first set of teeth your child gets aren’t too important, however you really could not be further from the truth. Did you know that a child who does not care for their milk teeth will have a greater risk of oral health issues as an adult? No one wants to set their child up for a lifetime of dental issues, so as soon as a few teeth are making their presence known, it’s time to take the first step on a lifetime of great oral health. It’s true that some dental clinics do not give off the most welcoming or appealing vibes, but don’t worry, we are all about creating an atmosphere that is comfortable, fun and easy going. When you bring your child for the first time to the clinic, be sure to introduce them to members of the team in order to keep a positive and upbeat feel to the whole visit. Certainly, many people in life have a fear of the dentist’s chair, but we don’t want your child to be one of them. There will be enough problems, issues and challenges throughout your child’s life that will give reasons for fear, don’t let a visit to the dentist be one of them! 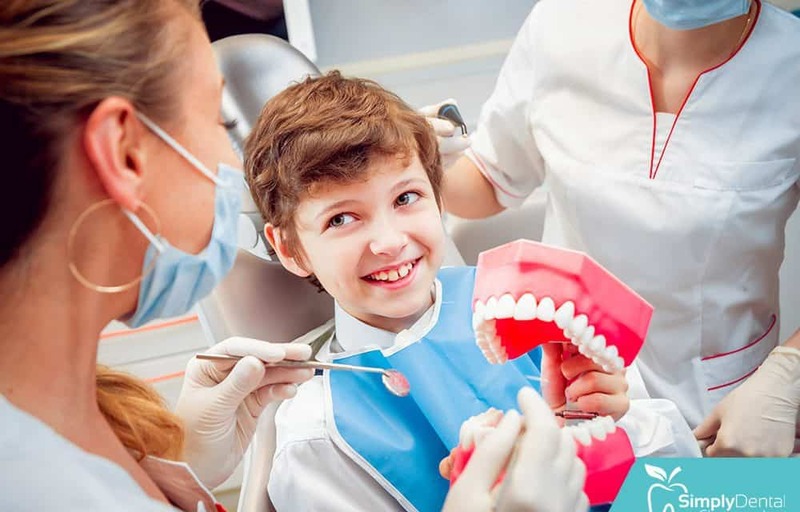 By creating a positive and exciting outlook to a visit to the dentist, your child will start to view the whole process as something to enjoy, rather than dread. In addition, remember, as a parent, how important it is that they start a great oral hygiene routine from a very young age, in fact as soon as they have a few teeth to show off. Lastly, by meeting the team at the clinic and staying upbeat throughout the appointment, your child will soon be counting the days until they can get themselves back in the dental chair for another visit!